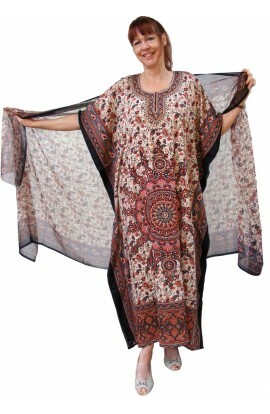 This is a good quality kaftan for a low price. It is suitable for wearing to relax at home - day-time or night-time. Decorated with embroidery panels and bound all around in contrasting satin.